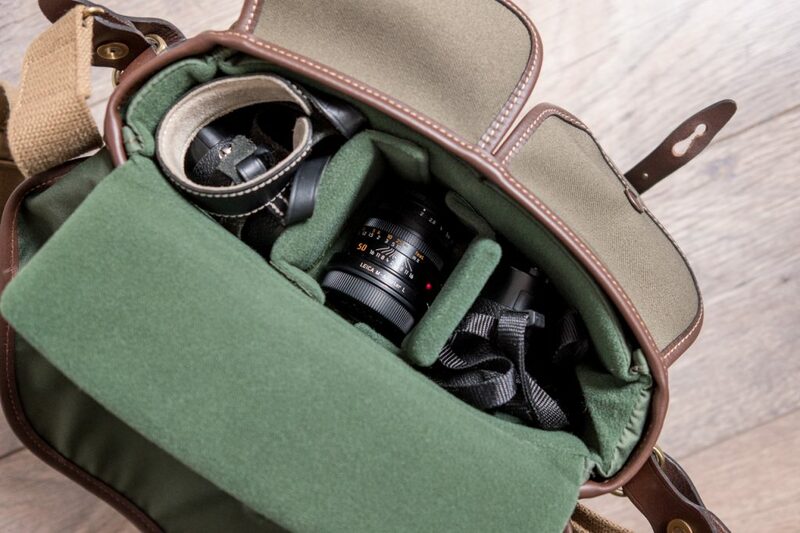 The Billingham Hadley Small has seen the most use of all my camera bags. As far as I’m concerned, this is THE bag for a compact rangefinder system. The Germans would call it ‘die Tasche’. 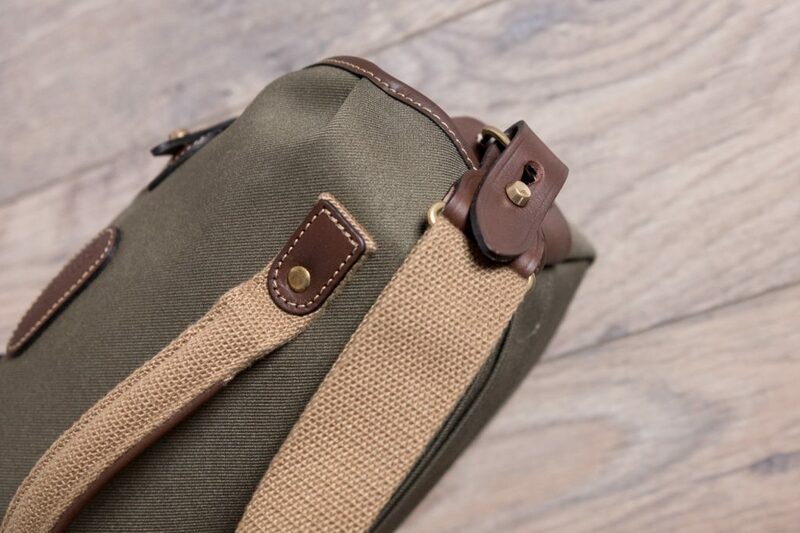 But now, there’s an even better bag on the market: the Hadley Small Pro. My black canvas Hadley Small has been around the world. Literally. It has been in all corners of South-East Asia, in Australia and New Zealand and in edgy neighborhoods in South America. It also still is my most used bag for city trips and day trips. For my professional work, I rely on the excellent Billingham 225. Having said that, if you work with a compact RF set, the Small is big enough for professional use too. It’s just that the amount and size of my lenses have grown and that I often take additional non-photographical equipment that doesn’t fit in the Small. Neat little bag, not too small for a guy, not too big for a girl. In the early days of my documentary weddings, the Hadley Small was big enough for me. You could ask if my photo’s have gotten better with the increase in gear that I have. That’s an interesting question that I’d like to answer later. For now, let’s conclude that a Hadley Small is big enough for a very compact RF setup, unless you bring big or heavy non-photographical equipment. So let’s take a look at the differences between the regular Hadley Small and the Hadley Small Pro. 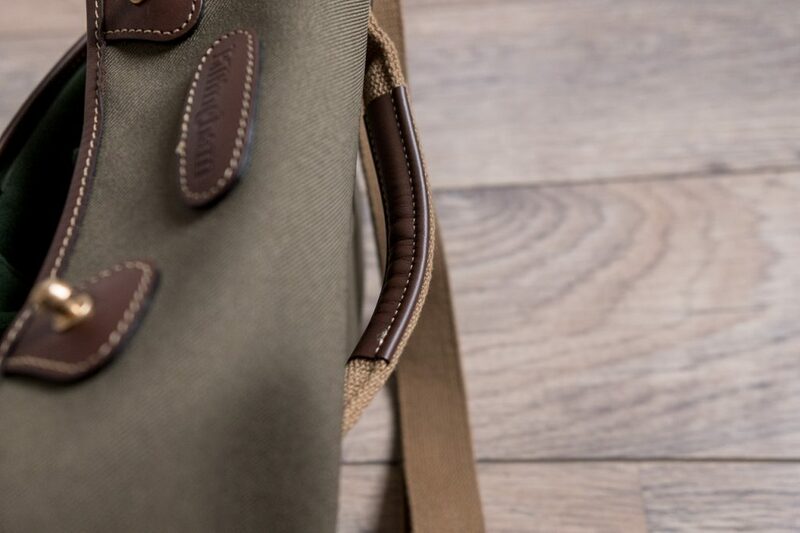 The most striking difference is the addition of a top handle, like the Hadley Pro also has. For me, this is a neat feature, not because I carry the bag by it’s top handle a lot, but because it’s much easier to pick it up with the to handle. Be careful though: close the lid before picking it up. My Hadley Pro has a regular top handle, but this one has leather on the underside, which offers a much nicer and softer grip. A second difference, a bit related to the first difference, is that you can detach the carrying strap. 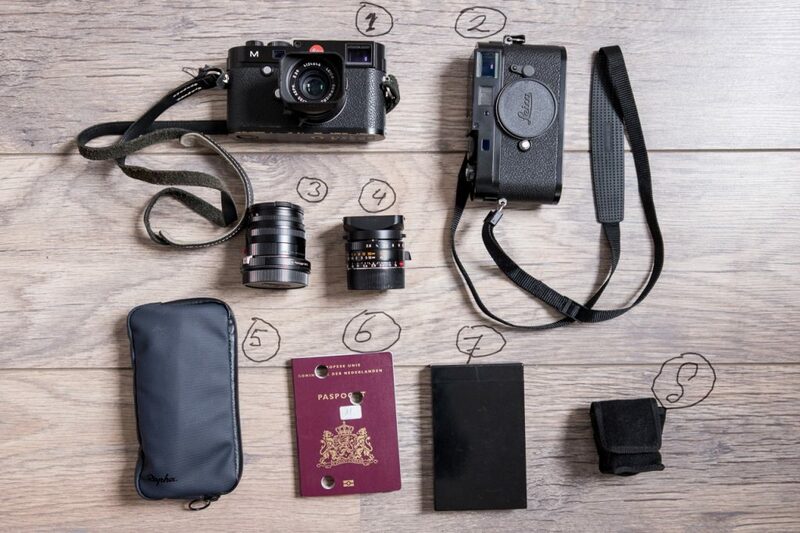 For me not really relevant, but it might be convenient if the strap often gets in your way, for example when traveling by plane, when you’ll probably carry the Hadley Small Pro on your trolley with the (third difference) added trolley retainer strap. A clever and very useful feature. 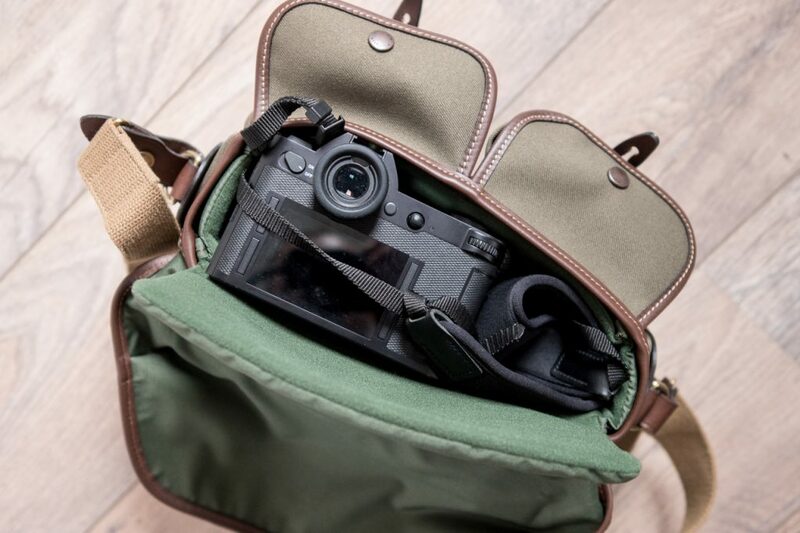 The shoulder strap is detachable and there’s a trolley retainer strap for flying photographers. The final difference is the addition of a document pocket on the back of the bag. The pocket can be closed with a waterproof zip and while I sometimes laugh about these zippers (when the fabric around the zip isn’t waterproof at all), for this bag it makes sense. Why? Well, because Billingham fabrics (both canvas and FibreNyte) are as waterproof as you’ll ever need, unless you go for a swim. How that works? Canvas itself is already quite waterproof, but the addition of a very thin layer of rubber material makes the bag truly waterproof (but not submersible of course). So what can you fit in the bag? The interior is exactly the same as the regular Hadley Small, so you can start by taking a look here. But things change, so let’s try a couple of different setups. Here we go. 3: 50 Summicron with the T adapter. 4: 28/2.8 Elmarit. Superb little lens. 5: Wallet (Rapha essentials case waterproof): I stopped using ‘regular’ wallets when I had to repack my wallet every day for my bike rides. 6: Passport. I wore this on my chest when I was a war photographer in Afghanistan. I’d say that the Hadley Small Pro is a bit small for the SL, but it does fit. Here’s what’s in the bag. 1: Leica SL with 50/0.95 Nocti attached. 4: The passport that saves my life ( I was joking obviously). 5: Leica 24/1.4 Summilux. A lens I never thought I’d want, but now I have it, I can’t imagine going to a wedding without it. 6: CV35/1.2. Still a nice 35mm lens without a tab, nice on the SL. 9: Powercord. Doubles as a whip for annoying guests on weddings. 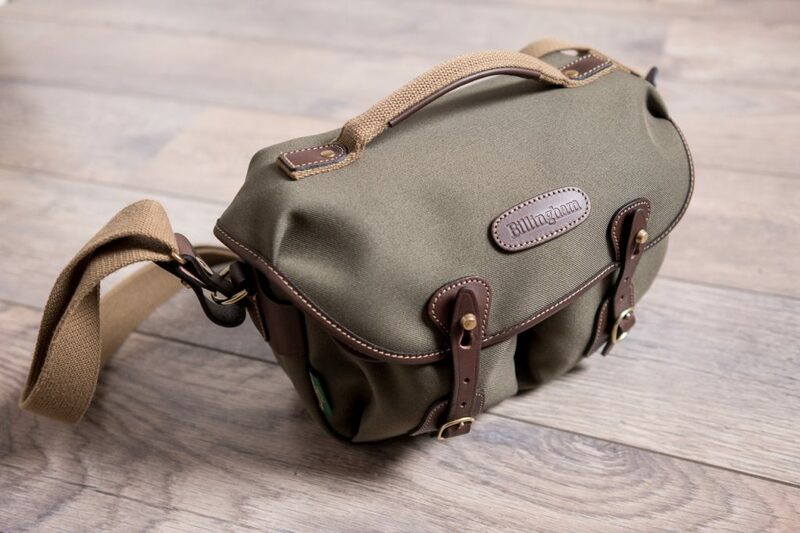 The short version: the Billingham Hadley Small Pro is the best bag for a compact rangefinder setup. Translated into Star Wars terminology: if the regular Hadley Small is Obi Wan Konobi, the Hadley Small Pro is definitely Yoda itself. ‘A perfect bag it is”, he would say. 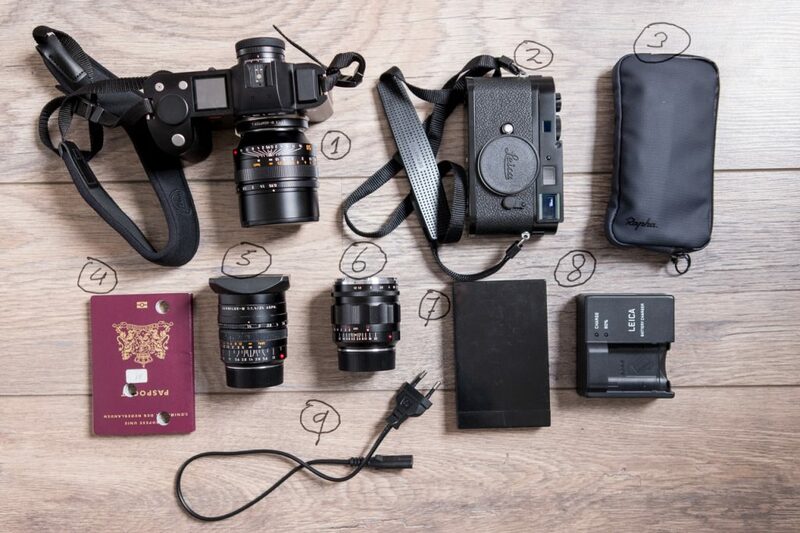 “Carry it will all your Leica gear”. With the typical M setup, you can comfortably walk all day and have a very sturdy, water resistant/proof, nice looking (but not Gucci looking) bag at your side. You really can’t go wrong with this one.